When Sandy Williams (’83 Psych.) was in the eighth grade, she discovered that only boys were allowed to take shop class, while girls had to take home economics. To Williams, this was unfair. Instead of standing idly by, she wrote a persuasive essay calling for a change. Thanks to Williams, girls like her who had no interest in home economics could take shop if they wanted to. “From the time I was young I didn’t like things that were not fair,” Williams says. She had discovered the power of words and, with the help of one of her teachers, learned how to speak up for herself. Today, Williams speaks up for a whole community in Spokane. In 2014, Williams’s dad became very sick and she would spend a lot of time with him by his bedside. She says they spent a lot of time in silence, so she started bringing her computer to write happy stories about people in her African-American community and distract herself from the sadness she felt due to her father’s illness. This turned into Williams’s creation of Black Lens, a newspaper that features stories and information about the African-American community both locally and nationally. “My passion was always working with disenfranchised people in the community,” she says. 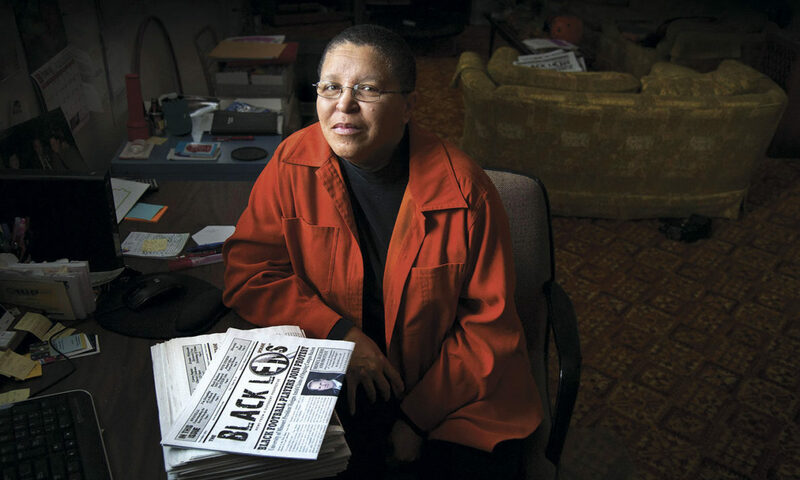 Williams prints 1,300 copies of Black Lens for her 250 subscribers and distributes them to businesses, churches, libraries, and other places throughout Spokane. She publishes and edits the newspaper herself but sometimes gets help from contributors and wire services. One of the main goals of the newspaper, she says, is to uplift and empower the black community. Williams also says she tries to educate people on historical information they may not have known about. She has received an outpouring of support and thinks the newspaper has raised the profile of the Black community in Spokane and empowered people to speak up. As for the future of the newspaper, Williams says she would like to see the younger generation get more involved.